Design Assembly is a New Zealand graphic design blog. 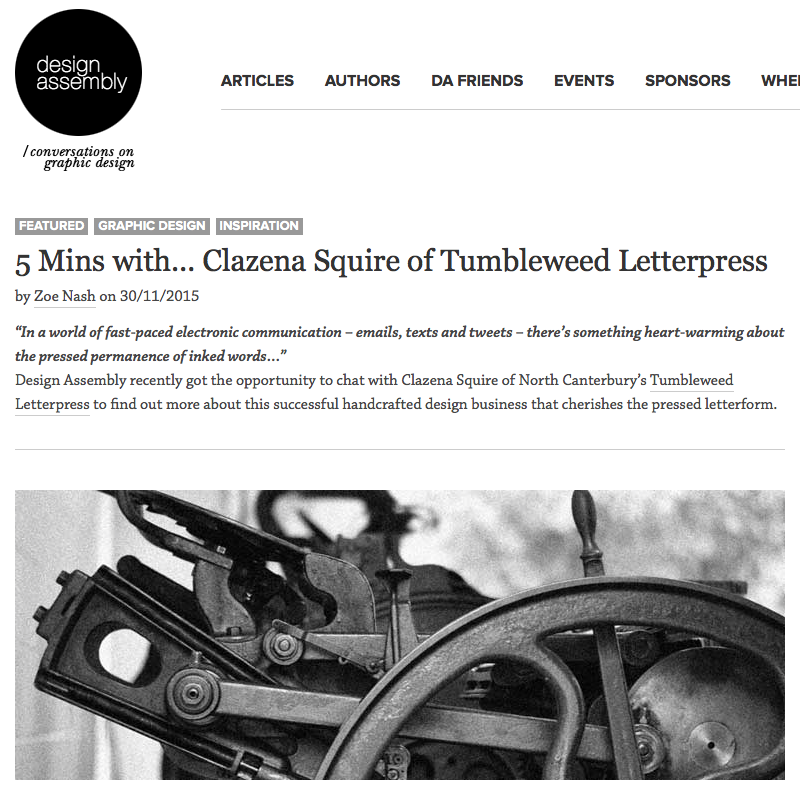 They recently did an interview with yours truly all about how I got started in Letterpress. Check out the article here to learn a little more about me and my stationery business.